The Orlando Sentinel reports that Disney is planning a major update for the Fantasyland portion of the Magic Kingdom at DisneyWorld. They are doubling the capacity of Dumbo by adding a second copy of it, which is great since that ride consistently has long lines. They are adding a ride based on the Little Mermaid, and they are finally going to update Star Tours with all new video in 3-D. The new & improved Star Tours is expected to be finished in 2011, with the Fantasyland update not being finished until 2013. Below are the concept pictures and blueprints that Disney released. 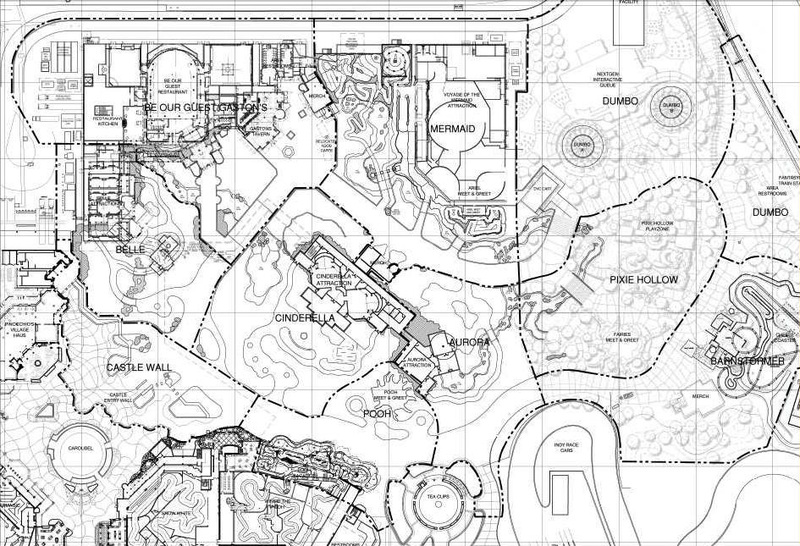 Blue prints for the new Fantasyland.